Why, more than lost seats, the SP should be worried about AIMIM\'s success? What the various parties have to say about the results. Since the BJP won 71 of Uttar Pradesh's 80 Lok Sabha seats last year, it has been widely predicted that the 2017 assembly election is the party's for the taking. The results of the panchayat polls have served a reality check. The party has fared poorly by most expectations. Instead, the BSP, decimated in the Lok Sabha polls, has sprung back to life. So far, results have been declared for 2,925 of the 3,112 Zilla Panchayat wards in 74 districts and 76,693 of the 77,576 Kshetra Panchayat wards. And BSP-backed candidates have won at least 615 Zilla Panchayat wards. The panchayat polls are not contested on party symbols, but there was little doubt about the contestants' political affiliations. Indeed, top leaders of all major parties, including Amit Shah, Mulayam Singh Yadav, Mayawati and Rahul Gandhi considered the polls a dress rehearsal for 2017 and had asked party workers to work for their respective candidates' victory. The efforts, it turns out, didn't yield much, except in case of the BSP. The party's visibly jubilant leaders claimed that, going by the trends, they would win around 45% of the wards. BSP chief Mayawati has congratulated the party's leaders and workers for "this great victory". The performance of the BJP, which had openly supported candidates for the first time, has been dismal. More embarrassingly, perhaps, the party won just eight of the 48 Zilla Panchayat wards in Narendra Modi's Varanasi constituency. Even its candidate in Jayapur, the village adopted by the prime minister, was defeated by the BSP. Indeed, the BJP also fared poorly in several other high profile constituencies, including Yogi Adityanath's Gorakhpur, Rajnath Singh's Lucknow, Murli Manohar Joshi's Kanpur and Kalraj Mishra's Deoria. The party, however, tried to play down the setback, claiming to have supported winners in over 500 seats. "Our performance has not been bad," the party's spokesperson Vijay Bahadur Pathak told Catch. He, however, refused to comment on the defeat of the party's candidates in Varanasi. The party's state president Luxmi Kant Bajpai said the results showed that "the people of the state have rejected the Samajwadi Party". He, too, refused to discuss his own party's poor performance. The Congress hasn't done any better either. It was defeated in all eight wards in Amethi, the party citadel represented in the Lok Sabha by Rahul Gandhi. Congress spokesperson Ashik Singh said the party's leaders would meet soon to "analyse" the defeat and "take corrective measures". For now, he would rather talk about the Congress' rivals. "People have rejected the rule of the Samajwadi Party. People have realised that the SP is communal. The defeat of the BJP in Varanasi shows the voters have rejected the BJP as well. Modi has failed to deliver his promise of achhe din," he said. As for the SP, the relatives of many of its leaders and ministers lost. Humiliatingly, the party's candidate lost in Tamauli, the village in Mulayam Singh Yadav's Azamgarh constituency adopted by the former chief minister, as did all its candidates in the SP chief's home district of Etawah. Overall though, the SP's performance has been average rather than underwhelming. But more than lost seats, the SP would be worried about the rise, however modest, of Asaduddin Owaisi's AIMIM. Reason? The party could challenge the SP's monopoly on the state's Muslim vote. Indeed, the two seats the AIMIM has won are in Azamgarh and Rampur, both of which have large Muslim populations and are considered strongholds of the SP. Interestingly, both the party's victorious candidates are Hindu. 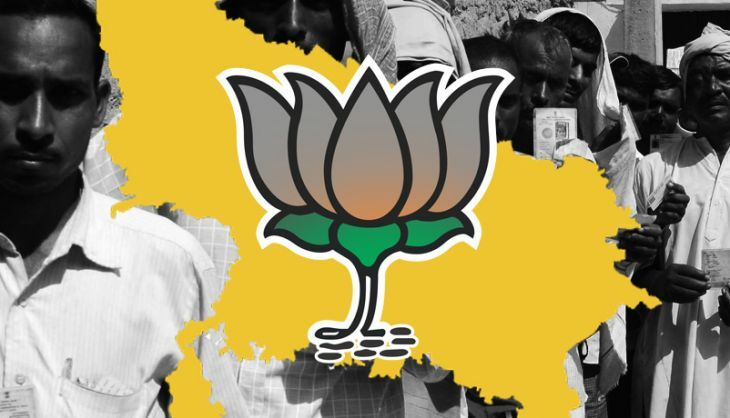 The party, which backed candidates in 73 wards in its first foray in UP at the panchayat level, also claimed victory in two wards in Balrampur and Charthawal in Muzaffarnagar. The claims, however, could not be verified. So, what does the results mean for the various parties in UP? "They are worrying for the BJP," said Rajesh Gupta, who teaches political science at Pandit Prithinath College in Kanpur. "Maybe price rise was a reason. But we should also keep in mind that the BJP's base in rural areas is not very strong. The BJP must put its house in order if it wants to perform well in 2017." "Mayawati, no doubt, has a reason to cheer," Gupta said. "I won't be surprised if her party performs well in 2017."